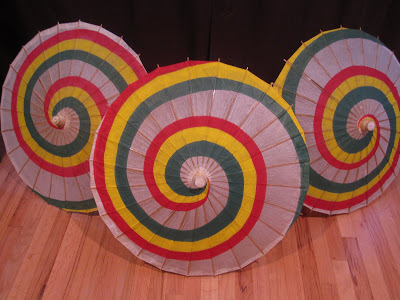 – White paper parasol with red, yellow, and green swirls (you can make your own or you can get one online from Firefly Cargo Bay). Big Bill 405. Good base. – Get a good base set of coveralls. Some alterations will be required but taking UP the crotch is a huge pain. *For this set of coveralls I used Big Bill short sleeve coveralls in light green. They’re 65/35 poly-cotton blend are are rather light weight. I’m more than okay with this. Also, Click On Images To View Larger. First I removed the front chest pockets as well as the back pockets. Kaylee’s coveralls only have the front left chest pocket and the front lower pockets. I then cut off the sleeves, leaving enough edge that I could fold under and sew down. Iwant the edges ragged, not falling apart. I made a correct sized pocket for the left chest by cutting down one of the original chest pockets. i then sewed that onto the chest. These coveralls have an “Action-Back”, meaning a fold on each side giving it more room to move. 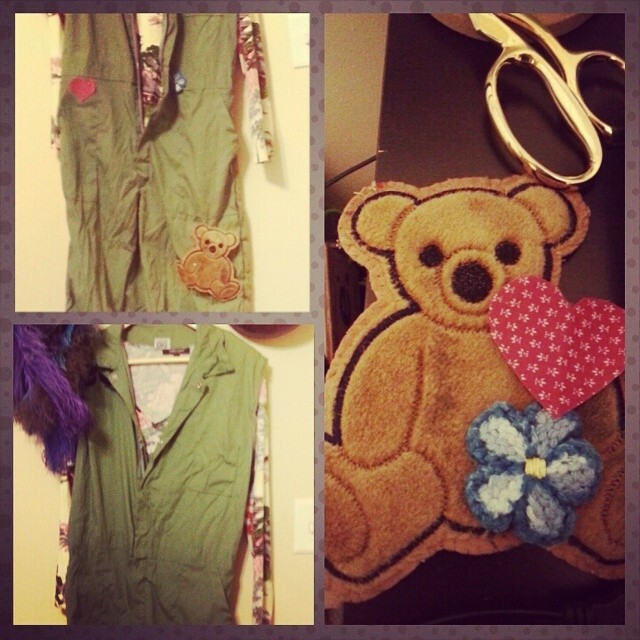 I actually sewed this down as Kaylee’s coveralls are quite fitted. 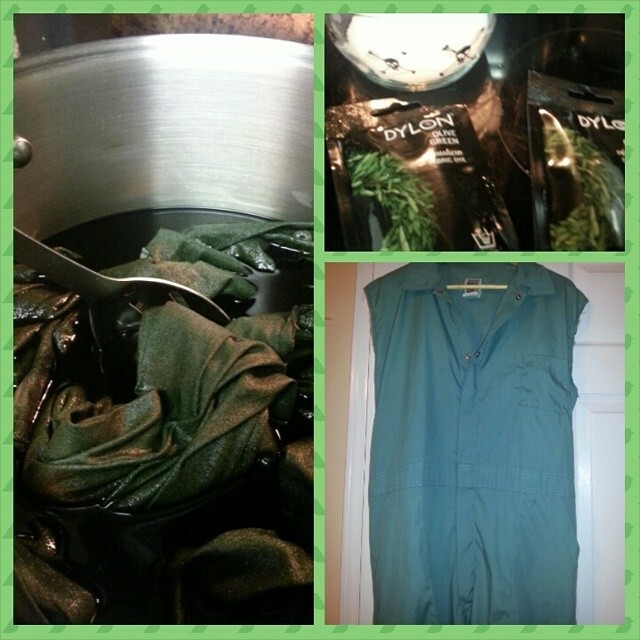 The next step was to dye the coveralls more of an olive green. I first tried this with iDye poly, which was a disaster. No color held. For my second attempt I used two packets of Dylon in Olive Green and basically doubled the concentration. Being that this was a poly-cotton blend, I guessed it may give me trouble. I followed the instructions on the packet and they turned out quite lovely. After the coveralls were dried, I then applied the patches. The bear patch goes under the left front pocket, set at about a 45 degree angle. The flower patch goes on the waistband just towards the center of where the pocket starts. The heart patch goes on the top of the right front pocket. – Now it’s time to add the symbols. 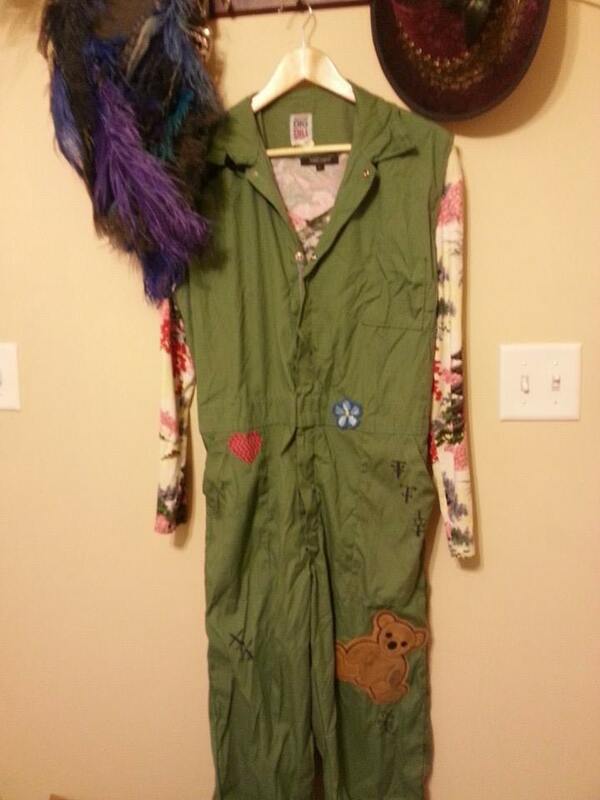 Kaylee has several characters on various parts of her coveralls. *This symbol is actually drawn upside down. Btw, I used a fabric marker, but you can use a Sharpie or other permanent marker. 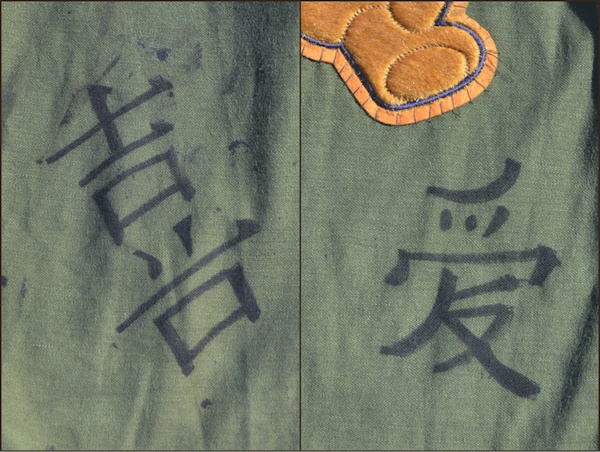 – Once the symbols are drawn on, it’s time to age the coveralls. Kaylee’s coveralls are highly distressed and I wanted mine to reflect that. – I used several methods, including spray paint (silver and black) put onto it in areas at a distance. I also used an acrylic paint wash of black paint and water and spattered it all over. I used a really dilute wash first and then after that dried I went with a thicker dilution to give it different shades. I also used a white wash on top of that. – Where the flower patch is attached, I used a red/black wash. 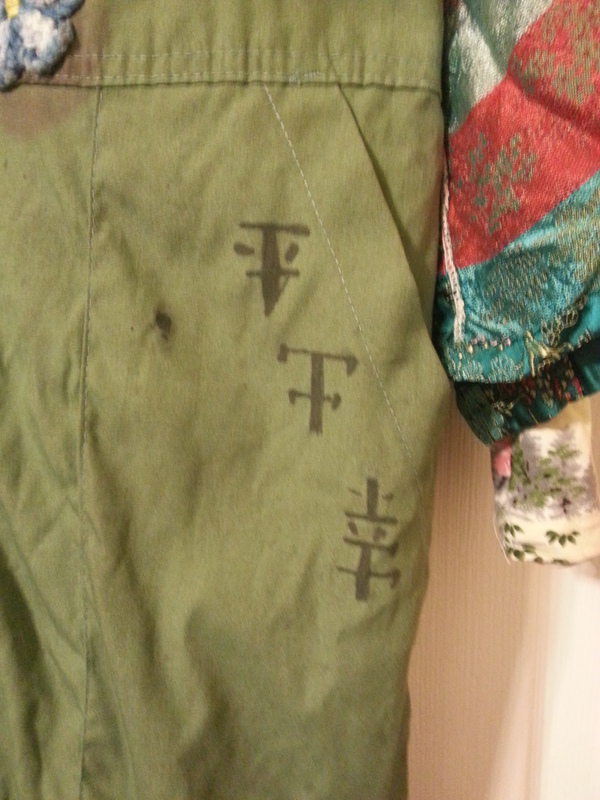 This patch was put on the coveralls after she got shot in the pilot, so I figured there would be a slight blood stain. – Stain them however you want! You can do as much or as little as you like! You can use tea staining, coffee staining, rubbing dried pigment directly onto them – it’s up to you! Now the fun part, accessorizing! – The Shirt: Kaylee wears all kinds of floral and asian print shirts in the series with these coveralls. In the pilot “Serenity” and “Trash”, she wears a lovely yellow asian print shirt. 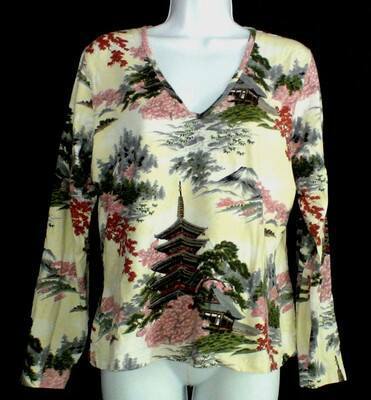 It’s the Karen Kane “Instyle” brand and it’s called “Cherry Tree Pagoda”. This shirt is insanely rare and it actually took me about seven years of searching online to finally find one. She also wears a pink floral “Museum” brand top in promo images. Your best bet is to find a “Kaylee-esque” top. Find something at a thrift shop that looks like something she’d wear. She wears long sleeves, short sleeves, and sleeveless shirts! The possibilities are endless! – The Jacket: I found a teal asian jacket on Etsy that wasn’t too expensive. “Peony” brand seems to be the best bet on these, as others tend to have weird embroidery on the opening that just doesn’t look right. Keep an eye out on Ebay and Etsy, and at thrift shops! – Flip Flops: She wears black and grey platform flip flops with red or pink bands and blue tassels (I think). No one has identified these so may as well go with an alt! These are easy enough to find. – Boots: If you don’t want to go to the flip flop route, Kaylee wears black Tanker style boots. – Parasol: The swirly parasol can be made or purchased. If you want to make it, note that it has a double swirl, not just one like most of the purchased ones. 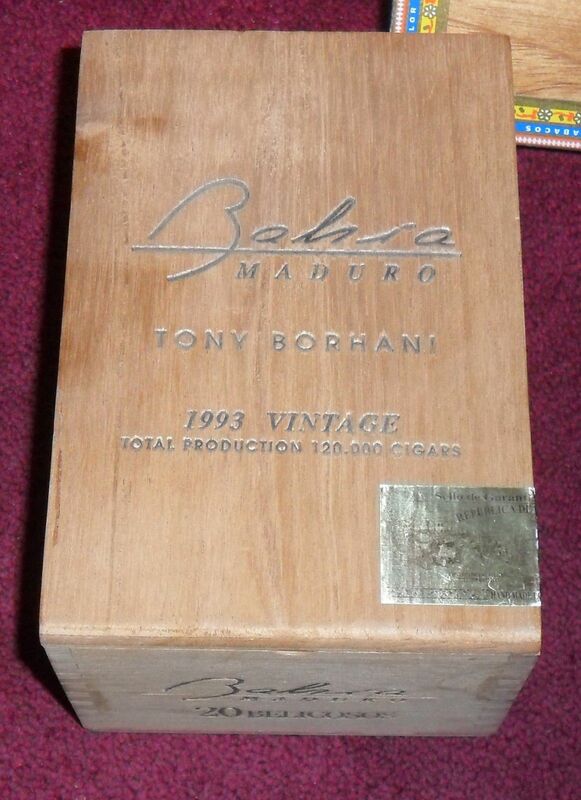 – Cigar Box: The cigar box full of strawberries has a flip open top and is “Bahia” by Tony Borhani brand. These cigars (and boxes) are exceedingly rare! They’re a highly collectible item in the Tobacciana world. Go to your local smoke/cigar shop and ask if they have any cigar boxes. Most shops won’t charge. Look for one that’s unfinished with a flip top. You’re more likely to find one with a slide top, but that’s okay! If it’s unfinished, go with it! – Hair: Kaylee wears her hair down in episodes, and sometimes up in buns (Pilot: Serenity). It’s up to you! Final Step – Go out there and rock your shiny self! Done! Now I’m ready for Dragon*Con! Hope you all find this helpful! I can also answer any questions regarding a lot of screen accurate stuff for Kaylee, as I’m a bit obsessed. You can email me here. Stay shiny, and feel free to share your photos!